Small intestine bacterial overgrowth (SIBO), is a complicated condition that can be difficult to both identify and treat. This article reviews the basics of SIBO including signs and symptoms, causes and associated conditions, as well as strategies for diagnosis and treatment. SIBO is a condition where bacteria build up in higher than normal levels in the small intestine. The presence of bacteria in the gut is normal. In fact, a healthy gut flora aids in digestion, nutrient metabolism, immune health, and even disease prevention. These bacteria exist and function primarily in the large intestine (colon) where the majority of fermentation and gas production occurs (1). In SIBO, these bacteria build up in the small intestine (duodenum, jejunum, ileum), a segment of the gut where fermentation and gas production does not typically occur. When these bacteria accumulate, they feed on partially broken down food particles and produce gas. This results in uncomfortable digestive issues and other health effects (2). Although the underlying causes of SIBO are multifactorial, risk factors tend to be associated with a disruption of the normal protective mechanisms that help control the growth and location of gut bacteria. Additionally, research has identified a host of associated conditions that are linked to SIBO. Motility is the term used to describe the stretching and contraction of the muscles in the digestive tract that move food along. Proper motility ensures that the intestinal contents move along fluidly, like the flow of a river. When motility is weak or disrupted, the contents begin to slow down and stagnate, turning into more of a “pond”. This stagnation of food and waste in the small intestine presents the perfect opportunity for bacteria to grow and multiply, increasing the risk for SIBO. Gut clean up is dependent on a mechanism known as the Migrating Motor Complex (MMC). This cleansing wave occurs during fasting. It is caused by muscle contractions that sweep residual bacteria and other waste from the small intestine to the colon. MMC disruption has been linked to: vagus nerve damage, brain injury, neuroinflammation, chronic renal failure, cirrhosis, portal hypertension, as well as certain medications (2,3). Acute gastroenteritis (food poisoning) may also cause damage to the MMC due to the release of MMC damaging antibodies (4). Certain gut surgeries such as the Roux-en-Y gastric bypass or Billroth II create a blind loop. This is a section of the gut where food and other waste is not cleared efficiently leading to stagnation and potential for bacterial overgrowth (2). Present in roughly 1 – 6 % of the population, diverticula are small outpouchings that can form in the small intestine and harbor unwanted bacteria (2). Abdominal strictures, commonly seen after surgery or radiation, can make it hard for food to pass through the gut. This increases the risk of stagnation and bacterial growth (2). The ileocecal valve allows for the one-way flow of intestinal contents into the colon. Damage or removal of this valve (commonly seen with Crohn’s Disease patients), can lead to colonic bacteria moving back into the small intestine (2). Stomach acid helps kill bacteria before it even reaches the small intestine. Low stomach acid production may be a result of chronic antacid use, achlorhydria, or old age (5). Digestive enzymes from the pancreas and bile acid from the gallbladder help protect against bacteria once it has reached the small intestine (5). A large portion of the body’s immune system exists in the gut and helps control the overgrowth of excess or bad bacteria. When this immune system is weakened or damaged such as with IgA Deficiency Syndrome or HIV, there is an increased risk for SIBO (5). There are currently two ways to diagnose SIBO: Bacterial Culture and Breath Tests. Other tests such as a Comprehensive Stool Analysis or Urine Organic Acid Test may provide clues of SIBO or it’s underlying cause, but cannot actually diagnose it (7). Bacterial Culture is the most direct method of diagnosing SIBO. An endoscope enters the proximal small intestine (the top portion) and collects a sample of bacteria for evaluation. Many researchers consider bacterial culture the gold standard. However this method is not commonly used to diagnose SIBO in patients as it is expensive, invasive, and only measures bacteria in a small segment of the intestine. This can be problematic since SIBO in the distal portion of the small intestine (where an endoscope cannot reach), is considered the most common (2). Breath testing is the most common method for diagnosing SIBO because it is inexpensive, non-invasive, and relatively accurate. The patient drinks a simple carbohydrate solution such as lactulose or glucose. Bacteria in the small intestine ferment these carbohydrates and produce the gases hydrogen (H2) and methane (CH4). These gases eventually release through the breath. A Breath Test measures the levels of H2 and CH4 at 20 – 30 minute time intervals over a span of 2 – 3 hours. Because these gases come from bacteria and NOT humans, higher than normal levels of either one, or both, indicates SIBO. What can a Breath Test tell you? Results of this test can help indicate the severity and location of SIBO in the gut. More specifically, levels of methane (CH4) and hydrogen (H2) in an individual testing positive for SIBO can help further pinpoint the specific sub-type. SIBO can be either Diarrhea-Dominant (more hydrogen producing bacteria), or Constipation-Dominant SIBO (more methane producing archaea). More information as well as recommendations for the most up to date criteria for diagnosing SIBO are listed here (7). Keep in mind that there are high rates of false positives for this test. Lactulose is the most common type of test and is better for diagnosing distal SIBO, but is not as sensitive as breath tests using glucose as a substrate. On the other hand, glucose is sometimes used, but is rapidly digested by bacteria and is better for diagnosing SIBO in the proximal small intestine (first few feet). The goal of treatment is to not only kill the bacterial overgrowth, but to also treat the underlying cause. Treatment strategies include antibiotic and herbal therapy, as well as diet intervention. It is also important to note that SIBO often recurs and multiple treatment rounds may be necessary. Antibiotics tend to be the first line treatment since they work quickly, safely and efficiently. Although there are a variety of antibiotic options, Rifaximin (Xifaxan) has the most research supporting its effectiveness with an overall resolution rate of 49.5% (5). While antibiotics are effective in killing the bacterial overgrowth initially, 44% of patients relapse within 9-months of treatment. This is why it’s vital to address the potential underlying SIBO-cause and explore multiple treatment options. Herbal therapy, or the use of specific herbs with antimicrobial properties, is another treatment option for SIBO. Common antimicrobial herbs include berberine, allicin, neem, oregano oil, etc. Although herbal therapy may take longer to work (a typical dose is 1-month), one study found it to be just as effective as pharmaceutical antibiotics in reducing the symptoms of SIBO as well as reducing methane and hydrogen gases detected by a breath test (8). While most use diet therapy in conjunction with antibiotic or herbal therapy, others use it as a stand alone treatment. The goal is to limit intake of fermentable carbohydrates, bacteria’s main food supply. In doing so, the body starves and kills excess bacteria (6). Gut and Psychology Syndrome Diet (GAPS). 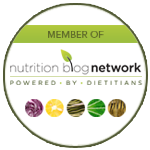 Although each diet is slightly different, restriction of fermentable carbohydrate is a common theme among all of them. Meal spacing can also be an effective strategy in managing SIBO. Due to this, many try spacing out meals and snacks by 3 – 5 hours, and/or fasting > 12 hours overnight. 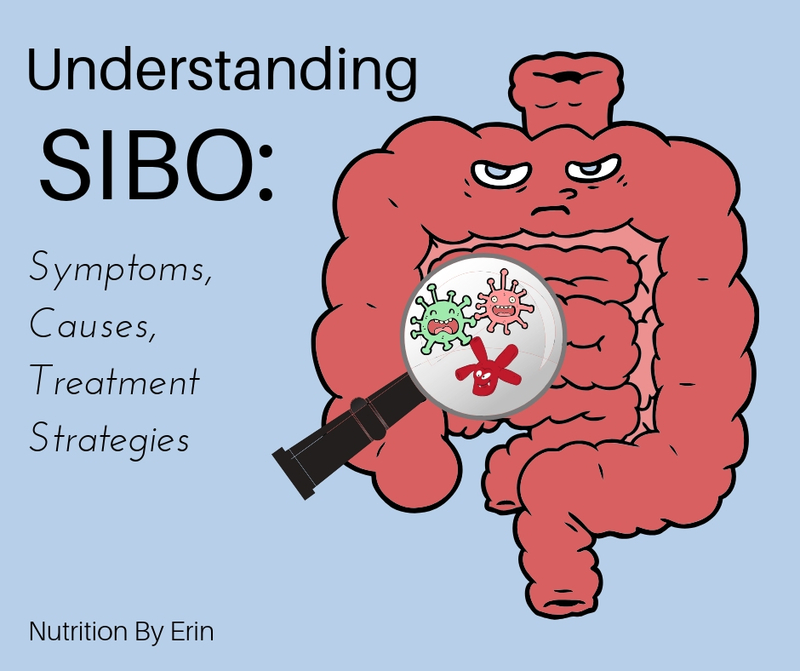 Numerous associated conditions and risk factors exist for SIBO, however they are mostly related to a disruption of the gut’s normal protective mechanisms. 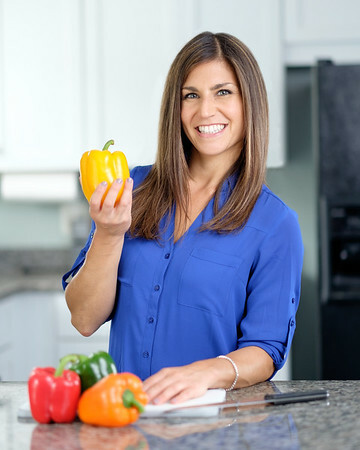 Despite being under-diagnosed and often times difficult to treat, a critical first step in the treatment process involves enrolling the help of a dietitian or qualified health care provider.